That’s a thought that has been going through my head a lot recently. I’ve been playing the open world, third person shooter Just Cause 3. It’s great except for one big design decision that I really hate: upgrades are locked behind skill challenges. Passing point thresholds in these challenges earns you “gears.” Collect enough gears and you unlock upgrades. Want to increase your grenade carrying capacity? You need to earn enough gears in demolition challenges. Fancy a nitrus boost for your cars? You’d better do really well in these racing challenges. Want more precise aim with your guns? Ace the shooting range challenges. Earning gears requires you to clear a certain point threshold in each challenge, and the game gives you not only numerical feedback (through …numbers) but also visual feedback by filling in the outline of each gear that you earn in a given challenge. This means that quite frequently I am aware that I ALMOST scored enough points to earn another gear, but not quite. If I had just gotten a few more points or if I hadn’t crashed on that last turn, I would have gotten the upgrade I wanted. 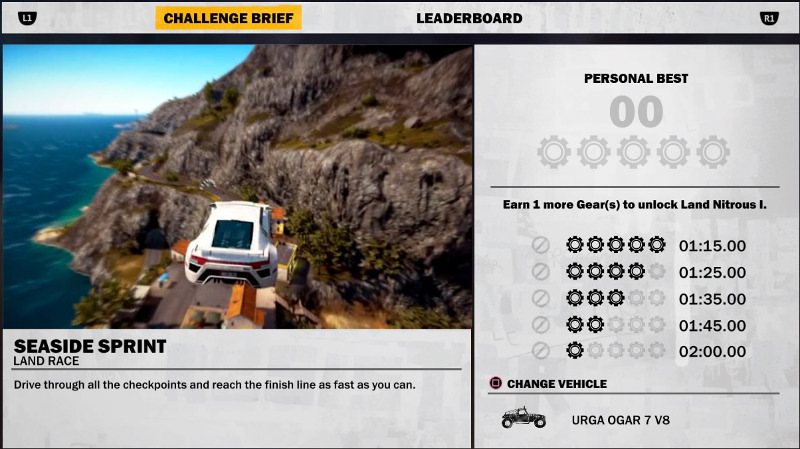 The gear challenge system in Just Cause 3. This makes me think, oddly enough, of gambling. In slot machines or winning poker hands, you can come really close to winning big but still lose. Ace, King, Queen, Jack, and a four is one card away from a hell of a hand in poker, but it’s ultimately trash. Similarly, if you need three lucky 7s to win the slot machine jackpot, two 7s and a cherry are no good. Neither scenario is different form any other non-winning outcome, right? Well, no. In the psychology of gambling literature there is something known as “the near miss effect.” Gamblers experienceing the near miss of an almost winning hand, spin, or lottery ticket take it as a sign that they should keep playing. And they often do.1 A 2009 paper in the journal Neuron showed that near misses activated the same reward systems in the brain as actual gambling wins.2 What’s more, the effect is most pronounced when there is little time between putitng down your money and playing the game (or “game” as the case may be).3 This is irrational given the presumably random chance involved, but we are not wholly rational beings. And this, of course, makes me think about my near misses with completing challenges in Just Cause 3. When I’m only 200 points away from earning that next gear, does the near miss effect compel me to try again? For sure, there are other psychological factors at play. For example, the fact that I almost performed well enough kind of tells me that what I was doing was working and it motivates me to try again by increasing my sense of self efficacy. And while there seems to be some random luck involved with some of the challenges –sometimes things blow up just right and sometimes your car hits a random bump and goes flying out of control– they are largely skill based. But I wonder if the near miss effect is still there. Or what about gaming activities where random luck plays a larger role, even if it’s alongside skill? Something like coming really close to clearing a randomly generated board in a match 3 puzzle game? Or a near loss in Hearthstone when some random element was against you? Or barely losing to a dungeon boss in a turn-based game like Darkest Dungeon or X-Com that makes heavy use of randomness? 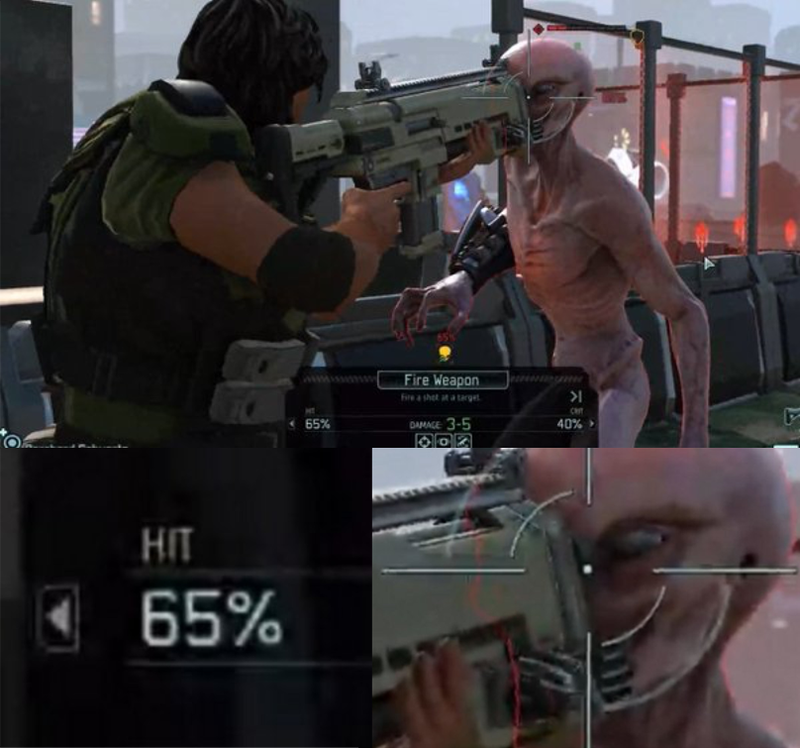 Oh man, if that sniper shot had just rolled better on its 74% chance of hitting the alien, I would have won that mission! Imma gonna reload and try again. Or what about unlocking loot boxes in something like Overwatch? There’s a split second when you may see that you’re going to get an orange legendary item, but does the near miss effect kick in when you find that it’s ultimately revealed to be something lame or a duplicate instead of what you really wanted? If near misses are as motivating as wins, the game design implications are pretty clear: engineer more chances to almost win. Instead of winning a max of three gears, Just Cause 3 is smarter to present five gears because it gives more chances to win and almost win a gear. Maybe it should be seven! But alas, I’m not aware of any actual research on how the near miss effect interacts when skill is actually in the picture. It would make a great research topic, especially if done in the context of non-gambling game rewards like in video games. And if you know of any other more direct examples of the near miss effect being used in games, I’d love to hear about them in the comments below. 1. Reid, R.L. (1986). The Psychology of the Near Miss. Journal of Gambling Behavior, 2, 32-39. 2. Clark, L., Lawrence, A., Astley-Jones, F, Gray, N. (2009). Gambling near-misses enhance motivation to gamble and recruit win-related brain circuitry. Neuron, 61(3) 481-490. 3. Parke, J. and Griffiths, M. (2004). Gambling addiction and the evolution of the ‘near miss’. Addiction Research and Theory, 12 (5), pp. 407-412. 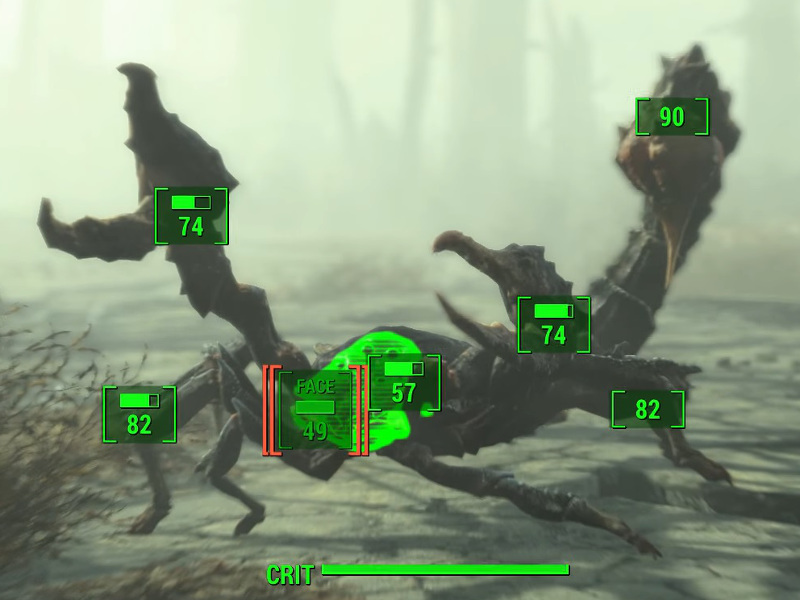 ← What Do You Want to Know About the Psychology of Video Games? That’s cool but now talk about the Near Mass Effect where you’re getting a similar endorphin hit whenever you load up a game that promises to be the next Mass Effect but ultimately turns out to be trash. You’re more motivated to plunk down to try out the next one because of the near Mass. Personally, I feel the near miss effect most strongly at fast paced games, like side-scroller or rhythm games. Because it requires a series a quick and precise actions, it’s easy to make small mistakes, but you know you are capable of doing it right. It’s just a matter of practice to the point it becomes muscle memories, so getting close is a validation your practice is effective and you should keep going, because taking a break might mean you’d get out of “the zone”. I have complained to a video poker machine manufacturer in Las Vegas about one-card draws in simple games, usually when trying to improve two-pair to full house or when seeking a fifth of a suit for a flush. It seems that about a third of the time the drawn card matches the value of the discarded card. (The normal probability for this occurrence should be slightly less than 3 times out of every 47.) This implies that the player would have had a better result if normal, optimum strategy had not been employed so that matched-rank hands had been achieved instead that include a pair of those fifth cards. Besides, once the computer “learns” from the Random Number Generator that the player is not going to improve an individual hand, it can immediately display any losing card; the player’s direct outcome is not cheated. But if two or three of the “bad” cards out of the group of 38 (for four-flushes) or 39 (for two-pair or open-end straights) can convince the player that a more risky strategy should have been used, the machine makes that much more money for the casino.